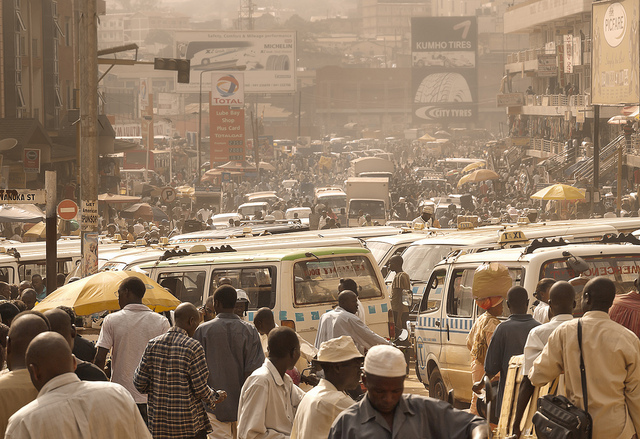 Harnessing the Demographic Dividend in Sub-Saharan Africa: Political Commitment or Rhetoric? Photo by weesam2010, via Flickr. Creative Commons. 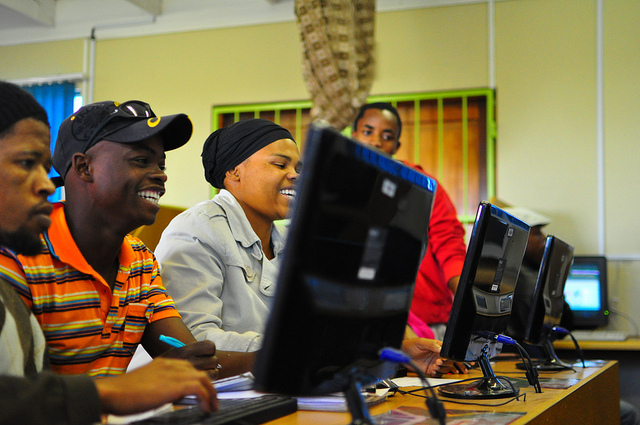 There is a growing interest among African policymakers in the demographic dividend, the economic growth unleashed when a society shifts from an age structure dominated by child dependents to one with a greater proportion of working-age adults. This interest in the demographic dividend is one factor for why there is a new optimism for fertility decline in Africa. Voluntary fertility decline is a critical factor in creating a demographic dividend, as I have written about. However, the difficult discussion on the need for fertility decline has been sidelined in favor of other, related issues like investment in youth. While these are important topics, if African countries really want to harness the demographic dividend, they must acknowledge fertility as the number one challenge to sustainable development and direct their investments accordingly. Improving female education, along legal reforms, improved family planning access, and maternal health are the key to closing the gender gap and unleashing African women’s potential. Photo by UNICEF Ethiopia, via Flickr. Creative Commons. In Sub-Saharan Africa, women represent slightly more than half the working-age population. Yet women are far from being equal partners with men in the economy and society, facing an array of barriers to achieving their full economic potential, from restrictive cultural practices to discriminatory laws and highly segmented labor markets. Empowering women, defined as “the expansion of women’s ability to make strategic life choices in a context where this ability was previously denied to them,” will raise the productive potential of this half of the population, delivering a huge boost to the sub-continent’s development potential. A recent McKinsey study showed that Sub-Saharan Africa could add an additional 12 percent to its annual GDP (an estimated $300 billion) in 2025 if the gender gap is closed between men and women. Much of this gain would come from advancing gender equality in the world of work, which is closely tied to tackling gender gaps in society more broadly, by improving access to services in six areas: education, family planning, maternal health, financial inclusion, digital inclusion, and assistance with unpaid care. 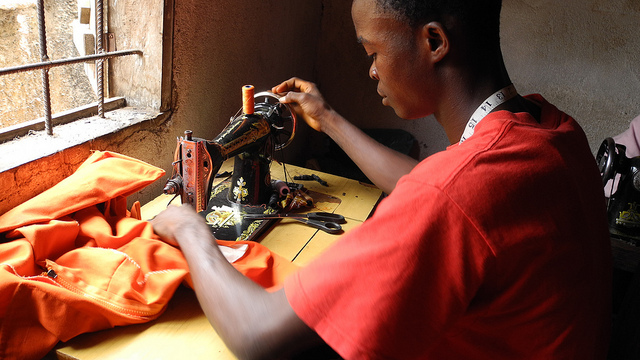 Encouraging growth in relatively low-skilled but productive fields like textile production, alongside growth in higher-skilled jobs, is key to making sure Africa’s demographic dividend is not squandered. Photo by Victoria Ahmed – CAFOD, via Flickr. Creative Commons. 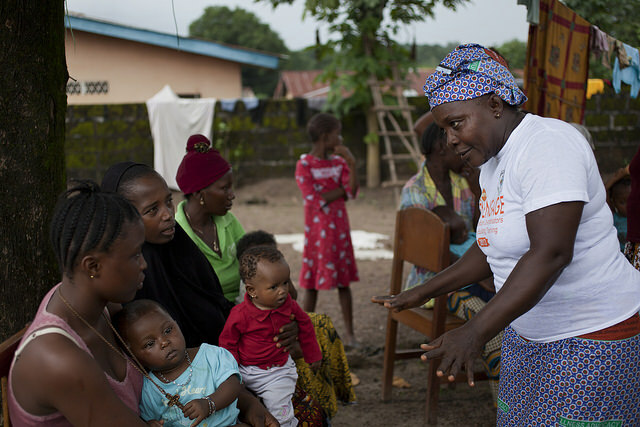 A community health worker talks to mothers about family planning and reproductive health in Bombali District, Sierra Leone. Photo by Abbie Trayler-Smith, H4 Partners, via Flickr. Creative Commons.